Quiltville's Quips & Snips!! : Taking Time to Sew! I only managed to get in a couple of hours before dinner, but it felt so elemental – it just put everything in my world at rights. Do you feel that way? I will hopefully be back to it this afternoon as well. I’ve been dealing with a lot of internet type issues since this whole implementation of the GDPR. 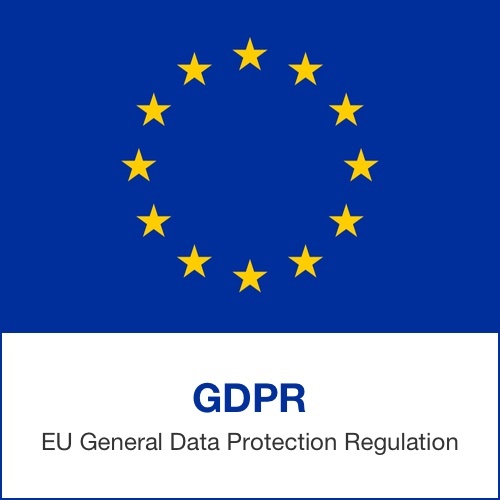 What is the GDPR you ask? 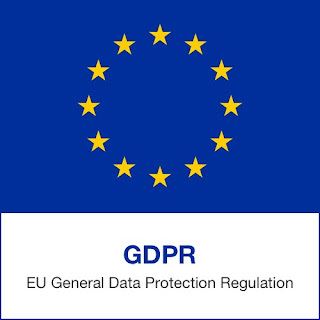 The EU’s new data privacy law, the General Data Protection Regulation, went into effect yesterday - May 25, 2018 and applies not only to EU (European Union) based organizations, but also to anyone who has customers or contacts in the EU. It also means I am changing the way I was planning on doing my newsletter, which was to be hosted by MailChimp – but by the sign-ups I’d gathered, (in one month!) and without sending out a single newsletter as of yet, was going to cost me over $100 per month to run. And the price goes up the more sign ups you have. And you know me, I’d rather buy fabric! HA! I’ve been hosting a "notifications-only" Quiltville Newsletter on Yahoo Groups since 2005. It costs me nothing to run, and anyone can opt-in-opt-out due to their own settings. To cancel, click the unsubscribe link at the bottom of any newsletter and you are out. Anyway – You’ll see a new NEWSLETTER SIGN UP button in the right hand side bar of the blog – Click it and join in. If you have filled out a newsletter form in the past month, know that I don’t have your info any longer. It went away when I cancelled MailChimp. If you don’t have a yahoo account, don’t fear. All you need to do is send a blank email to (*click*) quiltville-subscribe@yahoogroups.com You don’t need a yahoo address for this. Just use your regular email. The newsletter has been used in the past, mainly to keep those who were participating in our yearly mysteries up to date with clue releases, new patterns being added to the blog, or the store, book releases, leader & ender challenge releases, give-always etc. I don’t plan on sending more than a couple per month, if that - and promise never to over-spam you relentlessly. I will never give nor sell your information to anyone. Many of you follow me on Facebook, but there are also many who do not do other social media apps. At all. And if all those other things were to go away, for whatever reason, I’d have you on my email newsletter list so contact could continue. So what else has been going on over here besides the stupid GD (GOSH DANG!) PR (POSITIVELY RIDICULOUS!) and all of the hoops it has had me jumping through to stay compliant? Extra fridge in the back porch entry for YOU! Jason jokingly stated “Nice beer fridge for your quilters, mom!” And I just smiled. Beer, wine, or the next day’s snack tray – it’s all fine with me! Loads of fridge space now between this one and the kitchen one – and this one is closest to the Quilting Quarters so you can keep yourself hydrated. And snacked up. Jason left for home in Columbia, SC yesterday after this fridge episode - he's at work today, but it was sure great to have him up here for a short visit. By evening time, ANOTHER trip was made to Lowe’s. I swear – “ALL Roads Lead to Lowe’s” would be a great slogan for them. Choosing flooring for the Post Office. The yellow tile has GOT to go! In most places it wasn’t even sticking to the chip board beneath it, so it is going to be a quick fix to get it all out of there, and start with some new sub-flooring and then put these stone looking vinyl tiles down. I want something easy-clean. This will go in the back entry (shown above), the postmaster’s office (That’s me!) and in the bathroom. I want something the color of dirt! And something that will compliment this beautiful wood floor. I’m also working on a very tight budget at the moment – This all has to come out of pocket until retreaters can come into the picture. I will be moving the Quiltville Store into this space hopefully by fall – the internet still has to be ironed out before we do that, and there is no reason to pay for internet expense until the space is ready to move into and become productive – so there are many balls in the air as to when we will tackle what, and which should come first. But "Operation Bye-bye Yellow Tile!” is as good a place as any to start making progress. Memorial Day (Monday) is saved for remembrances – so I am posting this TODAY. All digital patterns in the Quiltville Store are 25% off using code DIGITAL25 at purchase! Sale goes through the 29th. Must use code to redeem, don't forget! You never know – your digital purchase could have you sewing by this afternoon, and your purchase could be used towards the next Lowe’s trip to town! No matter what we get up to, Let's not forget to keep the Memorial in Memorial Day Weekend! They are not pre-1970, the under-flooring proves that. They are rubber. The EU rules are a pain. I know because my email box is full of requests to update my preferences because of it. However if we had similar safeguards here, the privacy issues with Facebook would not be an issue. So I can't be too critical. I am certain it's a big pain for you, though, and I sympathize. My inbox is also full. I don't gather information for anything other than shipping info so I can mail orders, I save people's information so they can update their own info and check on the progress of their orders - and all of my transactions are secure as they are processed by paypal. I never see anyone's credit card numbers. It's just been a nightmare to get compliant, and I keep thinking "what can they do to little old me." But if the EU is doing this - it only goes to suit that the US will follow. It gets harder and harder to run a business online. Nice tile. Glad you can take time to Sew!! I will be stitching today so I can make my Pilgrimage to the Cemetery on Monday to REMEMBER. I'very got Red and Yellow roses blooming for my 2 Moms and flags for the Dads! Also Purple Irises, my mom mom called them 'Flags' for Decoration Day. How wonderful that you can take your own flowers, Mary! have a great weekend! Bonnie...wishing you all the very best in your endeavors. Blessings! Just returned from our annual Cemetery Cleanup and Family Reunion. I have always put flags on all Veterans graves. It is a pleasure to do so. Bonnie that is the same tile we put in our new 3 season porch, what was supposed to be only screening in our deck. Have a wonderful weekend Bonnie. Bonnie, it is very excited to see all the additions and necessitates that you are working on at Quiltville. I can't wait until it is opened. Purchased my first Featherweight a month ago after taking your class in Lockport, Illinois. I am having fun sewing with it. My granddaughter asked if it was purchased for her. She is 4 and loves to help with projects. I also finally looked up my singer that was from my husband's great aunt. I always thought it was a 1955 singer. Finally looked up the serial number and it is a 99k that is dated on my birthday. How cool is that? I first learned to quilt on this machine. Looking forward to your class at Mary's Quilt Shop in August. We have those annoying phone calls in Australia, too. I love the yellow and white tile - adds to the character of this grand house. Did you consider a different color and white checked floor? Regardless of your choice love watching your updates. Bonnie, these days you must feel like the proverbial shoemaker's child! Re: sewing as centering. I first realized that phenomenon during a very stressful summer when I was in college. The second time I felt it -- a really visceral sensation -- was just after I'd moved halfway across the country. Sewing curtains for the rental house helped ground me in my new surroundings. Hi Bonnie, everybody out here in Europe is moaning and groaning about these new rules. I’m enjoying your adventure with the wonderful new house you bought, wish I lived nearby. I have a question about the adds on your blog, do you want us to click on the x? I never do because I thought it was rude, for it’s your way of earning some money. Also I never click on the adds for they’re in the USA and we pay a stupid amount of taxes for a purchase to get it send to the Netherlands. But I just read what’s written underneath your blog and I’m confused. Each ad you click X to close is a thank you in return. The EU has always been more protective of our personal information than the rest of the world. The regs aren't about shutting down online merchants. They are about collecting your information, how the info is used and the requirements for transferring your data to others. It may be an inconvenience now but in the long run it is for our benefit.